Hermione Granger: Rather obvious, but really, Hermione was one of my first literary bookish idols. It didn't hurt that she and I were the same age growing up (I read the first Harry Potter the year it came out; I was 10). That's what Hermione does. When in doubt, go to the library. Morwenna from Among Others: Morwenna was once a twin, but lost her sister to a terrible accident. Sent off to boarding school, she finds comfort in science fiction and fantasy books; Among Others itself reads like a suggested reading list of classic scifi authors. Interlibrary loans are a wonder of the world and a glory of civilization. Libraries really are wonderful. They're better than bookshops, even. I mean bookshops make a profit on selling you books, but libraries just sit there lending you books quietly out of the goodness of their hearts. Simon Watson from The Book of Speculation: Simon Watson forms the center of Erika Swyler's recent novel: a librarian who's lost his job and is--quite literally--about to lose his house as it falls over the edge of an eroding cliff. Watson is a nut for preserving old tomes--including one about his family's history. Perhaps the book opened a door; books have a way of causing ripples. AJ Fikry from The Storied Life of A.J. Fikry: Fikry owns a bookstore in a small island town who is cranky--and rightfully so. He's lost his wife and is living a life he never could have imagined--a life he has the chance to reinvent when he embraces the most unexpected of gifts. Remember, Maya: the things we respond to at twenty are not necessarily the same things we will respond to at forty and vice versa. This is true in books and also in life. Tyrion Lannister from The Song of Ice & Fire series: I've fallen out of love with this series (both the books and the television show), but that's not to say that Tyrion isn't still an excellent character. And one who sees the value of books and reading at that. My brother has his sword, King Robert has his warhammer and I have my mind...and a mind needs books as a sword needs a whetstone if it is to keep its edge. Matilda: Matilda may be the only bookworm on this list who pre-dates Hermione, but she's also one of the most iconic bookworm figures from my childhood. I used to pretend to be her when I went to the library as a kid. From then on, Matilda would visit the library only once a week in order to take out new books and return the old ones. Her own small bedroom now became her reading-room and there she would sit and read most afternoons, often with a mug of hot chocolate beside her... The books transported her into new worlds and introduced her to amazing people who lived exciting lives. She went to Africa with Ernest Hemingway and to India with Rudyard Kipling. She traveled all over the world while sitting in her little room in an English village. Once, in my father's bookshop, I heard a regular customer say that few things leave a deeper mark on a reader than the first book that finds its way into his heart. Those first images, the echo of words we think we have left behind, accompany us throughout our lives and sculpt a palace in our memory to which, sooner or later—no matter how many books we read, how many worlds we discover, or how much we learn or forget—we will return. 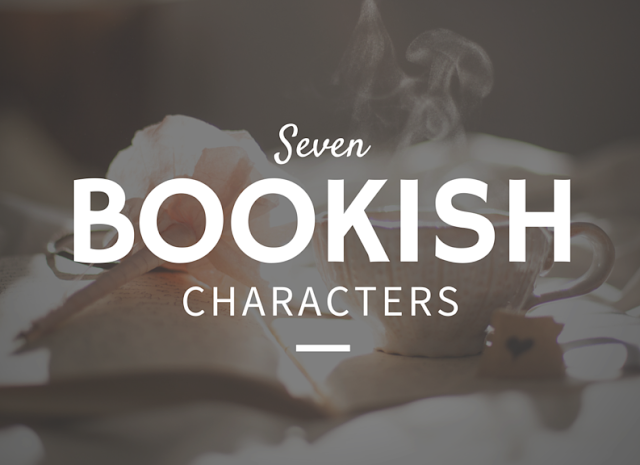 Who would you add to your list of favorite bookish characters?